If you're Searching for Real Estate Barrington, IL or surrounding areas, you have come to the correct Web Site. Serving - Barrington, Inverness, Kildeer, Long Gove, Cary, Hawthorn Woods, Crystal Lake, Palatine, Arlington Heights, Lake in The Hills, Oakwood Hills and other NORTHWEST SUBURBS. 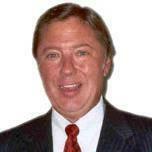 Bob provides the experience and proven results that clients demand in a Realtor for their Real Estate Transaction. He capitalizes on his creative marketing techniques and market knowledge to seize every advantage for his clients. Bob's dedication to providing the highest level of service and knowledge of the northwest suburbs, make Bob a valuable asset in selling or buying a home. Power positioning is a strategy with impactful techniques to get results even in a correcting market. Bob has received the highly-exclusive, formal training in power positioning, power positioning experience, and successful results, even in this market. Selling or buying can be very challenging in our correcting market. Call Bob for a free Market Analysis, specific Absorption Rates for your area, current inventory, sales trends / rates, market overview, understanding the “Buyer Pool”, creating a “perception of value”, and getting Top Dollar. Bob gets tremendous satisfaction from assisting people attain their goals and realizing their dreams in buying or selling Real Estate. A home is normally one of your largest investments and is something that is shared by the entire family. Bob considers himself as a "lifestyle consultant". There is so much more involved than the physical home itself. Bob understands that even though we surrounded with incredible technology advances in today's world, Real Estate is still a "people business". People have needs, people have feelings, people have lifestyles. Bob will always be sensitive to the personal side of Real Estate and treat his clients like he would like to be treated. Clients will always benefit from Bob's expertise, whether they are trying to sell their home for top market value or buying a home. Bob provides a very valuable market analysis and evaluation so clients can make sound decisions on their transaction. In addition, Bob offers strong negotiation skills and innovative marketing and aggressive marketing techniques. Buying or selling a home can be very emotional. Bob's philosophy is that stress can be minimized by sharing his expertise with his clients. Knowledge truly is power in Real Estate. In fact, Bob will review and follow his 22 points of service from the day that you first meet with Bob to after the closing. The 22 points of service are invaluable to the first time buyer / seller as well as the "Real Estate Veteran". Bob has to keep in mind that the transaction should be a pleasant experience on the personal/lifestyle side as well as the investment side. Bob is looking for clients for life - not just one transaction. Bob Untch : Coldwell Banker Residential provides COMPLETE real estate services in the Barrington area. Contact Bob Today.